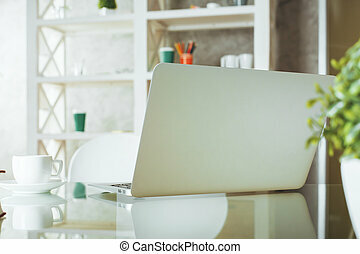 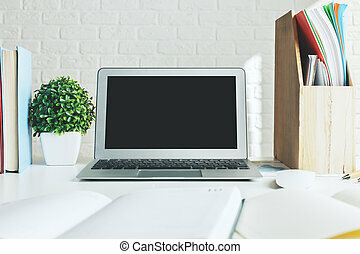 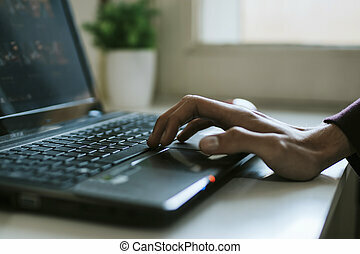 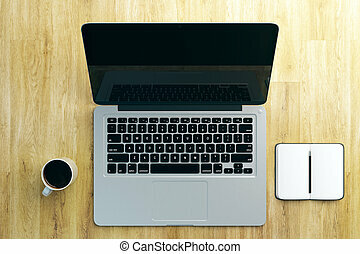 Creative desktop with laptop. 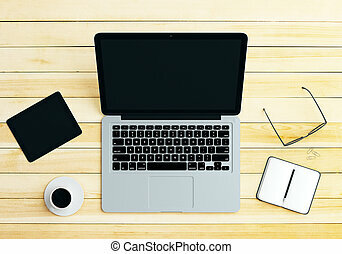 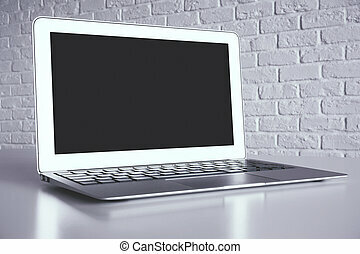 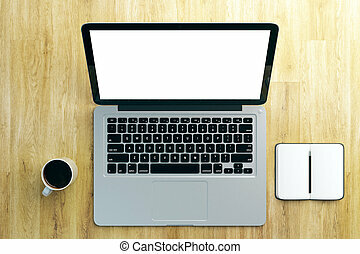 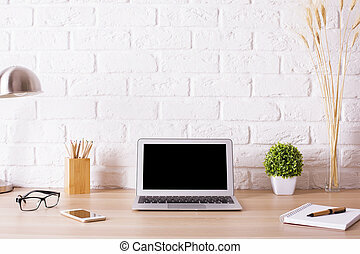 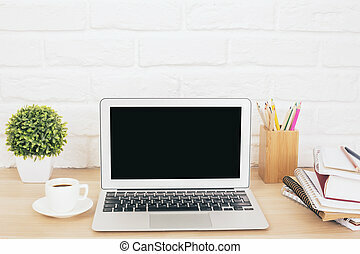 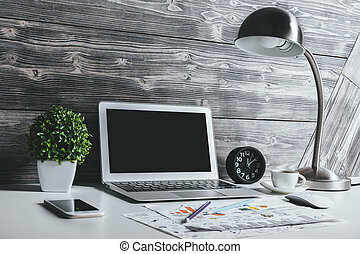 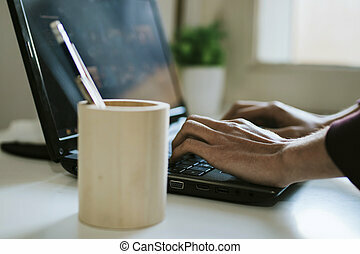 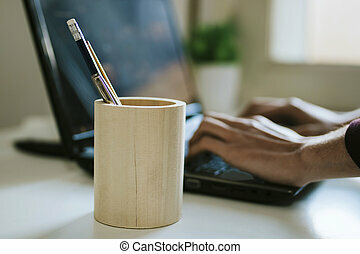 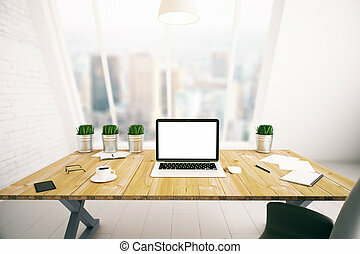 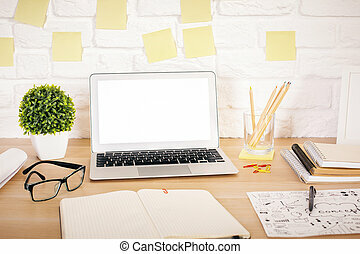 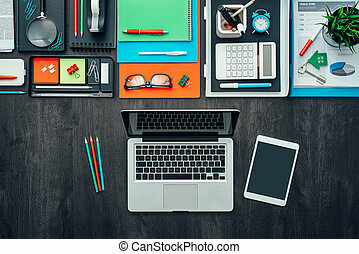 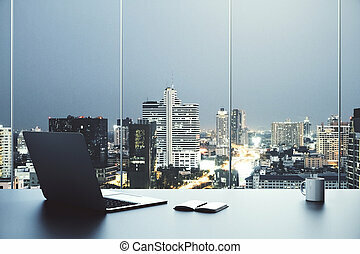 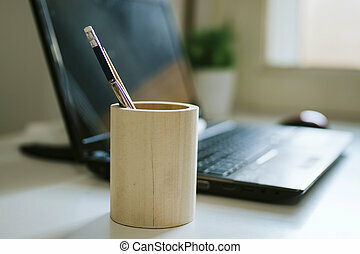 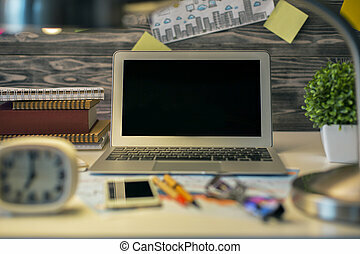 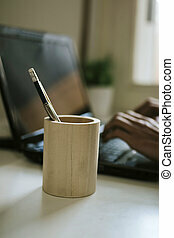 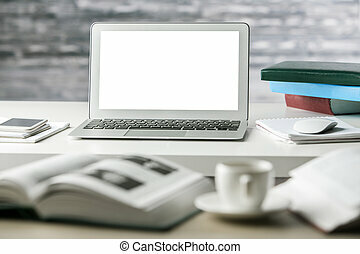 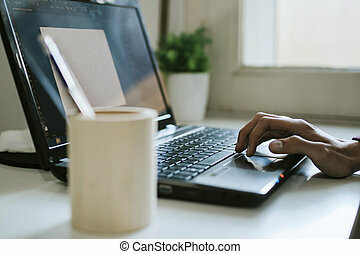 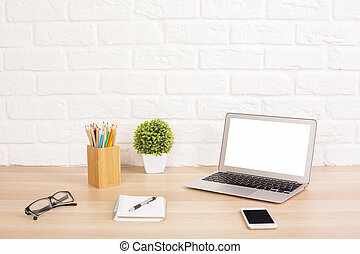 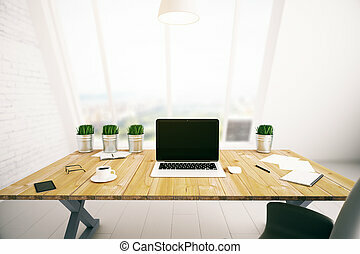 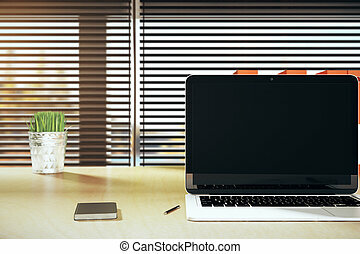 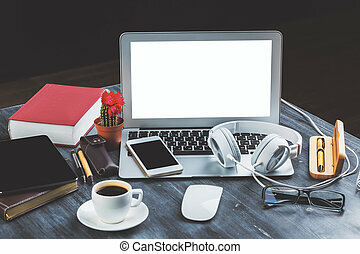 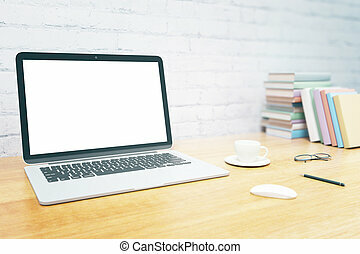 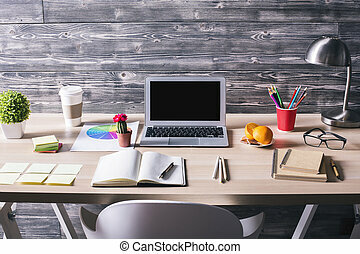 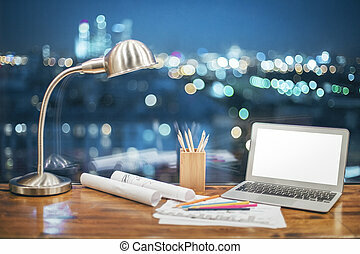 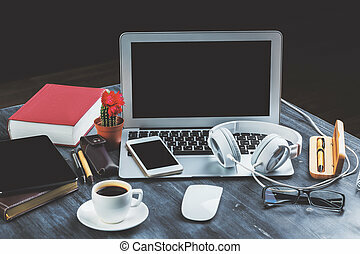 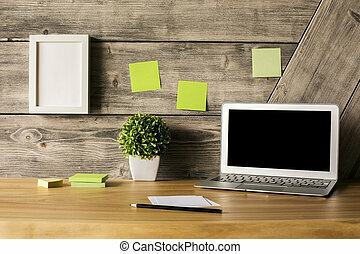 Creative desktop with blank laptop, table lamp, coffee cup, smart phone and other items. 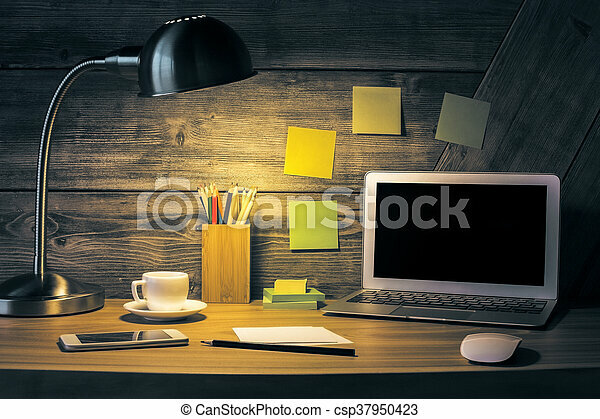 mock up.